If you need some new storage containers for your kitchen that are not plastic, check this deal out! You can get the the Zestkit 20 Pieces Glass Food Storage Containers Set for only $40.99 right now on Amazon! That is a savings of 54% because this set is normally $89.99! Make sure that you grab this deal on Amazon soon because the prices can change at anytime! 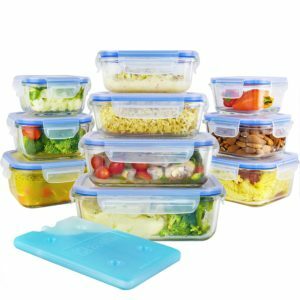 CLICK HERE TO ORDER THE Zestkit 20 Pieces Glass Food Storage Containers Set for only $40.99 today!